It seems everyone is over-tired, over-stressed and over-scheduled to the point where they think of nothing but sleep the minute they have a chance to stop moving. We dose ourselves with caffeine and sugar in the hopes that we’ll have enough energy to get through the day. Am I the only one that drinks 4 cups a day, hoping that one of them will work? There are, however, different essential oils that can be good for boosting energy and without all the sugar and caffeine. Need some get-up-and-go without additives? Try one of these oils for a pick me up. What Essential Oils Are Good for Lack of Energy? This is a grass used in India for centuries to uplift the mood and soothe the mind. Because of its calming and healing properties, it is considered a sacred herb and has been nicknamed the oil of tranquility. With the stress that surrounds us daily, we could all use some tranquility. With the increasing number of ADHD diagnoses, this herb is coming at the forefront as an alternative treatment for its calming and harmonizing properties. (1) This oil also showed significant improvement in focus and time on task compared to other oils. (2) If this herb is promising improved attention for children with ADHD, imagine how it could help you bring all your focus to one task instead of feeling scattered among many. There is nothing quite like the smell of peppermint, if just for the associated memories and thinking of the excitement that comes with the holidays. Even when used in aromatherapy, this oil has been found to cause stimulation of the mind and an improved ability to focus. Certain elements of peppermint oil also increased activity when taken internally. (3) Athletes found that their performance was affected significantly when peppermint oil was added to their fluid intake. (4) Muscle recovery time was cut down as a result. This may help with illnesses such as chronic fatigue syndrome where the body is worn down by the stresses put on us by our commitments and our required daily tasks. I love to try different blends of essential oils in my diffuser. It not only freshens the entire room, but I get to enjoy all the benefits of the oils I choose. Lavender has been a favorite for the past week or so until I found myself fighting to stay awake at my desk. There is a good reason it is recommended to help with sleep after all. There were more than a few key smashes mixed in my information about other essential oils. I guess it’s time to change up my mix if the lavender was relaxing me enough to lead me to fall asleep at work. So I changed up my essential oil mix with about 5 drops peppermint, rosemary, and some eucalyptus with its complimentary aroma, in about a cup of water and set my diffuser near my work area at the desk. Suddenly, I’m not only reliving great memories with the scent of peppermint, but I’m working through page after page of my writing with no signs of stopping. Usually, I’m distracted by my phone, need to have multiple tasks open on my computer to keep myself engaged for more than 20 minutes at a time. Not with that mix. Hours, working on one thing only. I may call it my College Days Remix. Considered to be one of nature’s superfoods, wheatgrass has been found to contain vitamins and minerals that would require huge servings of other vegetables to contain. You may have even heard of wheatgrass smoothies or ‘shots’ being made in trendy health stores. However, not everyone has the ability to juice their foods, so powder or pill form is the next best thing. 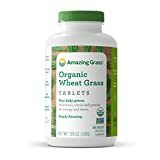 Taken from organically grown fields, this a concentrated way to receive all the benefits of wheatgrass without drinking it. This would make an easy supplement of nutrients, vitamins, minerals, and anti-oxidants to help your body perform at its best. Maca is a little heard of vegetable from the Peruvian mountains but is quickly being touted as a natural superfood. It is gaining popularity for its properties in making people feel more energetic without the need of a lot of caffeine or sugar and for its antioxidant properties. It has been demonstrated to allow for greater endurance in physical activity and reported recovery has been quicker as well. This powder can be mixed with almost anything including smoothies, sauces, and other foods. Do you find yourself drinking 4 or 5 cups of coffee a day, but not really feeling like you have any more drive to get things done? This coffee mix may be your answer when looking for a coffee that does more in helping you wake up. Its foundation is traditional black coffee but then adds in some lion’s mane mushrooms and Rhodiola root for more natural strength of focus. Rhodiola is an adaptogen, helping our bodies adapt to the changing levels of stress in our environment. It also reduced cortisol, the stress hormone, so our energy can be used effectively instead of being constantly stressed. I hope you find this list helpful as you search for natural ways to increase your natural vigor. The world seems to keep getting busier, and we need all the help we can get to get everything done. I know that I have to have the will to get myself and my family where we need to go. Please share this information with a friend who you know is also tired of being tired and needs a little get-up-and-go that doesn’t come from too much coffee.